Spain has already passed a similar link tax. Google News was the largest casualty of the legislation. 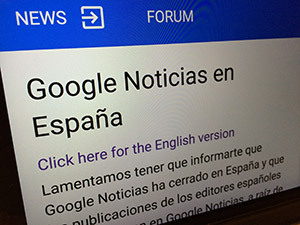 Instead of opting to pay millions of dollars for displaying snippets from websites, Google simply shut down its Spanish news search business. Another article introduces a mandate that would require internet services to monitor user uploaded content for potentially illegal works. This section is mainly targeted towards video and photo sharing websites, but is not limited in scope. Platforms such as Github or Wikipedia would also be required to check every single user-made change to their sites under the proposal. The Electronic Frontier Foundation and Mozilla are both advocating against the link tax and uploaded content filtering sections of the European Copyright Directive revision. Mozilla has gone as far as writing a prepared script and provides a way to call members of the European Parliament.